Muslims and Islam played an outsized role in the French election, both as objects of political discourse and as actors in their own right. It can easily be forgotten that this was the first French election held under a state of emergency, and that basic civil liberties are suspended. Even mainstream politicians have begun darkly speaking of the “problem” of Islam in France. Marine Le Pen of the National Front, who was handily defeated by centrist Emmanuel Macron, advocated halting immigration, much of it from Muslim countries. Meanwhile, Muslim youth in less well-off neighborhoods complain of being routinely overpoliced and of impunity for police brutality. Although there are something like 5-6 million Muslims in France, they probably account for only about 2 percent of the electorate. Some proportion are not citizens, and many citizens among them are trapped in working-class slums that offer few incentives to electoral participation. Still, while the Muslim vote is not large, in a close election it can make a difference. Some think that when 86 percent of Muslims voted for Socialist François Hollande in 2012, it swung the election to him. Even conservative French Muslims have tended to vote Socialist in the past decade and a half, given that many are working class and given the harsh Islamophobia of many Gaullists and, of course, the National Front. The Muslim community emerged as an issue in the election in large part because of the string of high-profile terrorist attacks since January of 2015, most of them attributed to the so-called Islamic State group (ISIL), headquartered in Raqqa, Syria. The killing of staff and bystanders at the offices of the satirical magazine Charlie Hebdo in January 2015; the massacre at a rock concert and a random restaurant, among other targets, in November of the same year; and the truck attack on a crowd on Bastille Day of 2016; along with a host of smaller assaults, have roiled French political life. French Muslims are substantially more secular than the average American. These attacks were clearly planned or instigated from abroad, and intended to polarize French society in hopes of radicalizing the French electorate and French Muslims, to make the latter easier for ISIL to recruit. 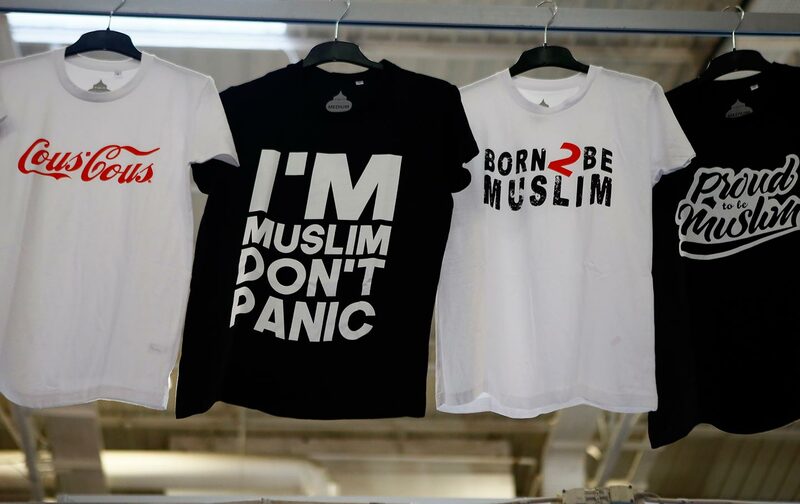 As it stands, about half of self-identified French Muslims describe themselves as secular, and another large proportion are ambivalent about identifying themselves as Muslim at all, having grown up in a mostly secular society without much knowledge of their ancestral religion. The French right wing is appalled that a little over a fourth say that Muslim law is more important than French law or that a majority think girls should be able to wear a headscarf to school. French Muslims, however, are substantially more secular than the average American. In the United States, 46 percent of Americans want the Bible to be a source of legislation and 9 percent want it to be the only source. Le Pen made attacks on Muslims and immigrants (probably much the same thing in her mind) a centerpiece of her campaign. She spoke of the need to “go into fundamentalist mosques.” She attacked the technocrats in Brussels, fundamentalist Islam, and immigrants, saying she was fighting against “the fear of no longer being entirely at home in France.” Her message was “France for the French!” The implication was that French Muslims and other citizens of African and Asian heritage are not actually French. French multiculturalism is in part a legacy of that very French imperialism in which the far right still takes pride. Yet Le Pen was also full of praise for the French Empire, which was largely composed of Muslim and Buddhist subjects and which maintained that Algeria was “French soil.” In 1958, President Charles de Gaulle had even sought to transform the French Empire into a multicultural United States of France, in which Algeria and West Africa would become provinces and their inhabitants French citizens. French multiculturalism is not only a result of globalization or immigration policy but is a legacy of that very French imperialism in which the far right still takes pride, and so the blandishments of Gallic nativism and global empire form an unfaced contradiction at the heart of Le Pen’s neofascism. Many French Muslims were ambivalent about this election. They feel poorly treated by Hollande and the Socialist Party, who they believe reacted to terrorist attacks by a fringe of extremists by cracking down on the whole community. In the first round of the presidential election, the largest group of French Muslim voters went for independent leftist Jean-Luc Mélenchon, while about a quarter supported Macron. The Socialist vote among Muslims, for Benoît Hamon, fell to only 17 percent. Still, despite their divisions, a solid majority of French Muslims continued to support the left in the first round, with the biggest defection being to the neoliberal Macron, who served as finance minister in President Hollande’s outgoing Socialist government. In Sunday’s runoff, neither Macron, a former investment banker who holds no brief for workers, nor the fiercely Islamophobic Le Pen represented an established parliamentary party. Prominent Muslim public intellectual and philosopher Tariq Ramadan (a Swiss national) called for Muslims to practice “active neutrality” and to sit out the election, given that neither candidate promised much to their community and given that after they had helped put Hollande in, he stabbed them in the back. Nevertheless, many Muslim leaders advocated voting for the lesser of evils. Noureddine Aoussat, a professor of marketing at the Sorbonne and a part-time preacher, weighed in with op-eds critiquing Ramadan’s position and calling for French Muslims to vote. Aoussat had made a splash by debating Socialist Prime Minister Manuel Valls on his use of the phrase “Islamofascist,” arguing that it is inappropriate and disrespectful to the religion. (Given that more than a third of French voters just voted for a party founded by former Nazi collaborators, perhaps French politicians should leave “fascism” out of their discourse about Islam.) Even some leaders of the traditionally quietist hard-line Salafi movement were so alarmed by the rise of the National Front that they urged participation in the election (Salafists are often chary of Western democracy). In addition, the conservative Union of Islamic Organizations of France (UOIF) called on French Muslims to vote in droves to confront the extreme right and the attempt to exclude them from representation in the country’s politics. The organization’s leader, Amar Lasfar, told his constituency, “We must protect France from the danger of right-wing extremism.” Lasfar said he did not launch this appeal against the National Front per se (which has called for his organization to be dissolved because of alleged links to the Muslim Brotherhood), but only to confront “the spiritual and institutional threat that is posed by racist ideas that instigate hatred against foreigners.” Lasfar noted that François Fillon, the Gaullist candidate who lost in the first round of the presidential election, had also said things such as that France “suffers from a problem connected to Islam,” but urged that Muslims continue to reach out to such politicians. For her part, Le Pen attempted to use the UOIF in her debate with Macron last week, accusing him of ties to it and of refusing to distance himself from its support, and warning that it would have him and France for lunch if he were elected. No one thinks that Macron is cozy with fundamentalist Muslims, and Le Pen’s style of Islamophobic McCarthyism was among the things that soured the French electorate on her.